App Lock Apps for Android: Are you looking to download the best App lock application on your Android Smartphones??? Here are the Top 5 App Lock Apps for Android. All the provided app locks are completely free to use. With the help of the app locks, you can protect your images, messages, and you can lock the complete application. App locks are very useful for the people to protect all the personal information. And the app lock provides the best security for the smartphones. Read the below sections to get the Top 5 App Lock Apps for Android smartphones. Nowadays many people are using the smartphones, and most of them need to protect their apps like Facebook, Messanger, WhatsApp, etc. Here I have given the best Top 5 App Lock Apps for Android for the users who are looking to protect their apps. And these app lock provides very interesting features to the users. In this App lock, you can directly protect the personal images, videos, messages, etc. many people are using the important apps, and they are looking to protect their data. They can use the below provided app locks to protect all the data. Read all the below apps and then select the best app which you want to use on your smartphones. AppLock is the one of the first application which is available for all the smartphones. In this AppLock, you can save the images, videos, etc. This AppLock supports for fingerprint, uninstall protection, and you can also lock the incoming calls, uninstalling apps, as well as Bluetooth. And this AppLock is completely free to use, and it is available in the Google Play Store. You can alos use the premium version of the App Lock to enable the ads. AppLock – Fingerprint Unlock is one of the best app lockers, and it was designed by Cheetah Mobile. And most of their apps do not include the antivirus, booster features, ads, etc. 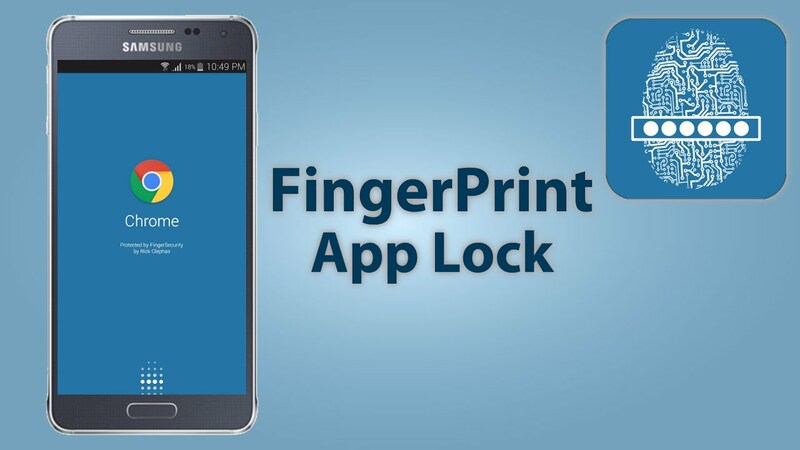 This application is very simple to use, and it allows you to the fingerprint scanner to lock the apps. AppLock – Fingerprint Unlock app also takes the photo of the persons who try to unlock your device. This AppLock – Fingerprint Unlock allows you to lock the incoming calls, Bluetooth, WIFi, uninstallations, etc. And the app is completely free to download and use. App Locker is the pretty good application, and it works very well. This App locker supports fingerprint and pattern unlocking. It allows you to protect your apps, settings, and much more. And App Lockers all your images, videos which you want to protect. This App Locker follows the material design guidelines fairly well. And in this app, you can also change the themes, and it may not work on the Huawei and Xiaomi devices. Norton App Lock is the best app lock, and it comes with antivirus apps. It provides the free app lock to the users. Norton App Lock provides the four-digit PIN, pattern, password features to the users. It gives the list of your apps, and it asks you to select the app which app should be locked. It is the best feature of this Norton App Lock. And it also takes the snapshot of the person who tries to unlock your app. Perfect App Lock is one of the perfect app lock application, and it allows you to lock the WiFi, Bluetooth, Apps, etc. This app works better than all other app locks. It provides one of the best features that it shows the fake error messages to try to trick people into thinking the problem is with the application which they are trying to open instead of being protected by an app lock. Perfect App Lock is available in both free and paid versions. And the paid version does not contain the ads.